LONDON, June 25, 2014 - Maria Sharapova of Russia greets the audience after winning the women's singles first round match against Samantha Murray of Britain at the 2014 Wimbledon Championships in London, Britain, on June 24, 2014. Sharapova won 2-0. 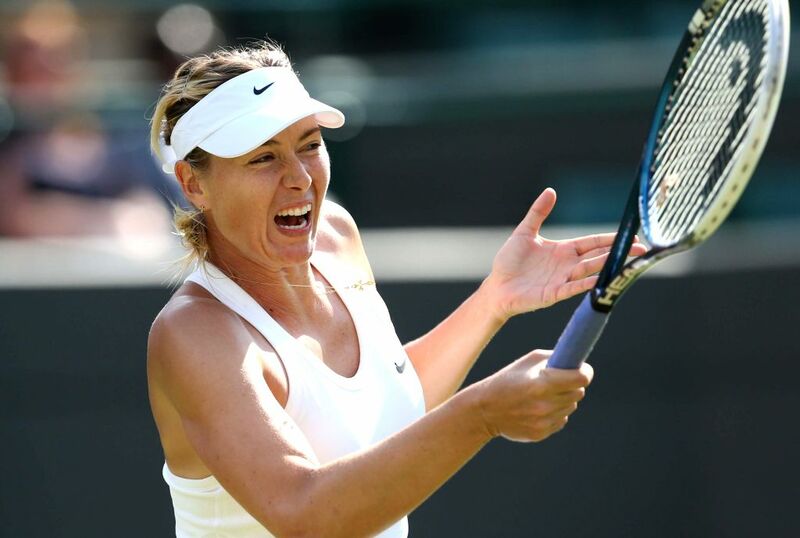 Maria Sharapova of Russia competes during the women's singles first round match against Samantha Murray of Britain at the 2014 Wimbledon Championships in London, Britain, on June 24, 2014. Sharapova won 2-0.